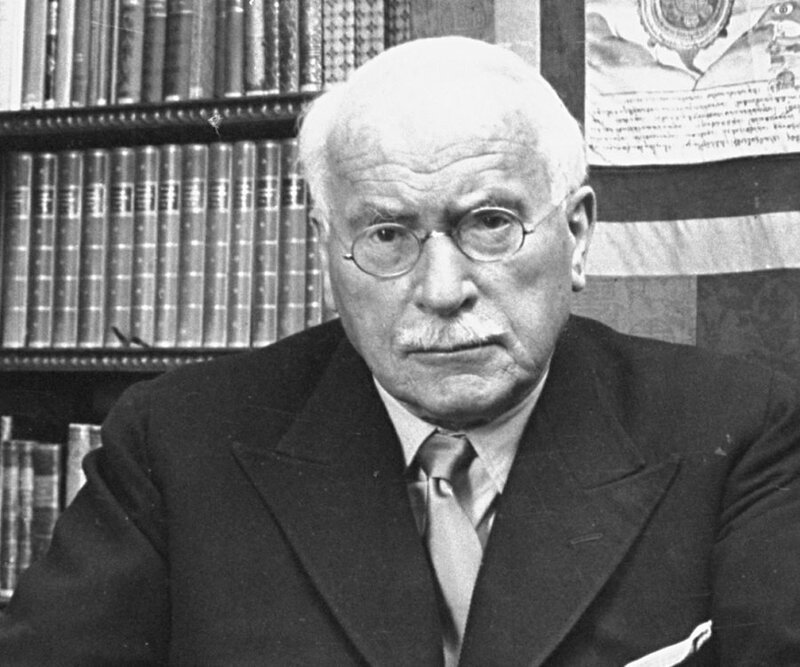 It isn't at all clear that Carl Gustav Jung's reputation survived the publication of his most famous work, Liber Novus, known as the Red Book. Both John Reilly and Tim Powers have made use of his ideas, but the sheer strangeness of the work makes it uninteresting to the prosaic and political twenty-first century. When I was in college, I read my way through most of Carl Gustav Jung's Collected Works, in the elaborately illustrated and suitably dark hardcover volumes issued by the Bollingen Foundation. I by no means regard the time spent as wasted; you can get a good education just acquiring the resources to understand a system like Jung's. Neither do I condescend to Jungians with the attitude that Jung's philosophy is just something you outgrow; there are many unfootnoted Jungian notions floating around in my published work. Still, I don't think there was ever a time when I confused Jungianism with enlightenment, much less with salvation (people who knew me 35 years ago may remember otherwise, but if so, their memories are defective). Unpublished until October of this year, when a carefully produced facsimile edition with a critical (as in "annotated") English translation from the German will appear. ([I]n English Poliphilo's Strife of Love in a Dream, from Greek hypnos, "sleep", eros, "love", and mache, "fight") is a romance by Francesco Colonna and a famous example of early printing. First published in Venice, 1499, in an elegant page layout, with refined woodcut illustrations in an Early Renaissance style, Hypnerotomachia Poliphili presents a mysterious arcane allegory in which Poliphilo pursues his love Polia through a dreamlike landscape, and is at last reconciled with her by the Fountain of Venus. The book tells the story of Jung trying to face down his own demons as they emerged from the shadows. The results are humiliating, sometimes unsavory. In it, Jung travels the land of the dead, falls in love with a woman he later realizes is his sister, gets squeezed by a giant serpent and, in one terrifying moment, eats the liver of a little child. ("I swallow with desperate efforts — it is impossible — once again and once again — I almost faint — it is done.") At one point, even the devil criticizes Jung as hateful... ABOUT HALFWAY THROUGH the Red Book — after he has traversed a desert, scrambled up mountains, carried God on his back, committed murder, visited hell; and after he has had long and inconclusive talks with his guru, Philemon, a man with bullhorns and a long beard who flaps around on kingfisher wings — Jung is feeling understandably tired and insane. This is when his soul, a female figure who surfaces periodically throughout the book, shows up again. She tells him not to fear madness but to accept it, even to tap into it as a source of creativity. "If you want to find paths, you should also not spurn madness, since it makes up such a great part of your nature."... In the Red Book, after Jung's soul urges him to embrace the madness, Jung is still doubtful. Then suddenly, as happens in dreams, his soul turns into "a fat, little professor," who expresses a kind of paternal concern for Jung. Jung says: "I too believe that I've completely lost myself. Am I really crazy? It"s all terribly confusing." The professor responds: "Have patience, everything will work out. Anyway, sleep well." Robertson Davies, himself a Jungian of the strict observance, attempted in The Cunning Man to describe an internist's medical practice that employed such a model. Regarding the second century, Peter Brown has noted that the Antonine Age enjoyed, or at least experienced, a low-key but personally important spiritual life that involved access to the numinous through dreams; and one might add, through the affect associated with holy places. However, we should remember that, even centuries earlier when pure theory preoccupied the finest minds of the Classical world, the ancients meant by the term "philosophy" something very like what Jungians mean by Jungianism: not just a system of propositions, but a therapeutic regimen with a comprehensive intellectual component. On the whole, it seems to me that there are two things to remember about Jungianism. The first, which the Jungians themselves urge, is that their system may be good for you but it is not really “medicine.” The second is that Jungianism is not a religion, though it functions as one for many of its adherents. It some respects, it seems to have been designed to make possible a spiritual life without a transcendent dimension. This would be as much a mistake in the twenty-first century as it was in the second. Speaking of Jung, Hermann Hesse was a fan, but he seems to have come to the conclusion that Jungianism was a self-referential exercise, a sort of game of symbols. Am I the first person to whom it has occurred that the annual Eranos Conferences in Switzerland, with their gatherings of "psychologists, philosophers, theologians, orientalists, historians of religions, ethnologists, Indologists, Islamists, Egyptologists, mythologists and scientists" (and senior CIA officials, but don't get me started) was the model for the annual Glass Bead Game in Hesse's book of the same title?